The Global Health Equity Scholars (GHES) program is designed to create a new community of researchers, educators, and professionals prepared to address new and emerging global health challenges. We build on the last 6 years of this training program to create a cadre of new researchers who can dedicate their research career to address the health problems that arise out of inequity of human conditions prevalent in informal human settlements that the United Nations has defined as slums. Rather than addressing one disease at a time, we propose to provide a comprehensive, multidisciplinary and integrated approach to deal with slum health issues, developed over many years by various participating faculty members of this program. 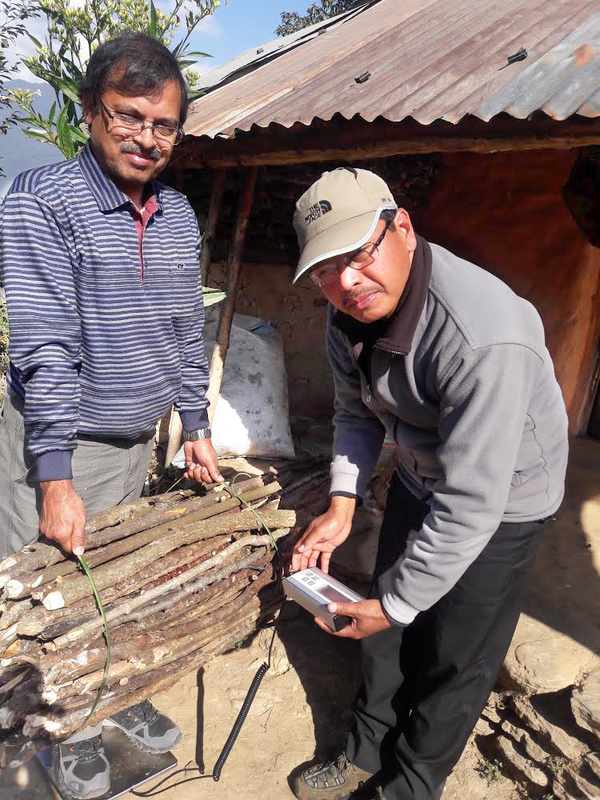 UC Berkeley GHES fellow Hridaya Devkota PhD (2017-2018) and ISER-Nepal Manager Tula Ram Sijali MA Med, weighing a bundle of firewood carried by women in a rural village of Kaski District. Nepal. June 2018.